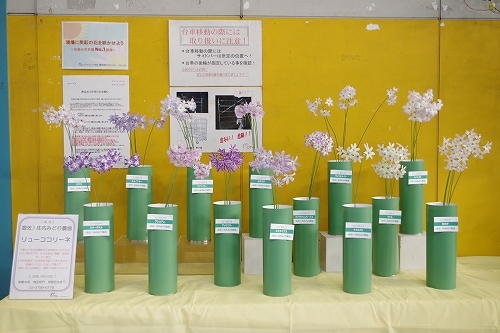 I’d like to introduce Leucocoryne (also known as the glory-of-the sun) from Yusa horticulture center of Shonai Midori Growers Cooperative, in Yamagata prefecture. 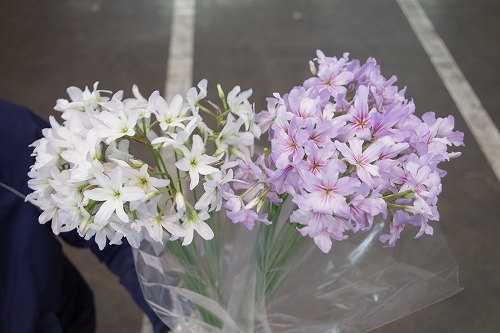 Although it says “Growers Cooperative”, there is only one grower, Mr. Suda, who produces the flower in the Cooperative. 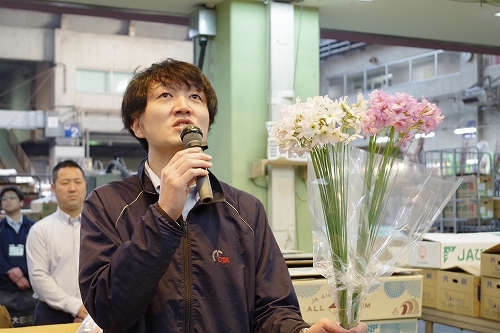 Since he got an opportunity to take over the bulbs of L. Coquimbensis from Miyake Nursery in Chiba prefecture, he has been propagating and improving it by himself, and now he is shipping his original variety to our market. After the standard variety L.Coquimbensis began to be shipped from the last year-end, the number of varieties has increased since the beginning of March. Shipping amount will peak in early April. I hope the demand will expand on the flower. Thank you. The original Japanese article, written by Mr. Itoh.